Whether you need a new well drilled or repairs to your existing wells, Kershaw Well Services is Thunder Bay’s trusted source for complete well work. Welcome to Kershaw Well Service. We were established in 1993 and are locally owned and operated by Doug and Sharron Kershaw. We drill water wells year-round and upgrade and repair current wells including dug wells. We install water pumps in Thunder Bay and the surrounding area, pressure tanks, submersible pumps and well accessories. We also provide services for well abandonment, well development and well upgrades, and we perform well recovery tests. We offer free quotes and all of our wells meet MOECC Regulation 903. We service residential, agricultural and commercial customers. Let us meet all of your well water needs. Kershaw Well Services is a member of the Ontario Ground Water Association. We are licensed under the Ministry of the Environment (Contractor Licence #6941) and have a Well Technicians Licence # T2262 for well drilling, well boring and digging, and pump installation. 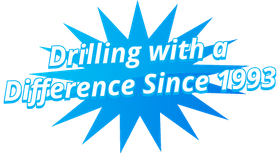 Get drilling with a difference – call today at 807-939-2166. Have a question for Kershaw Well Services? Contact our team today!